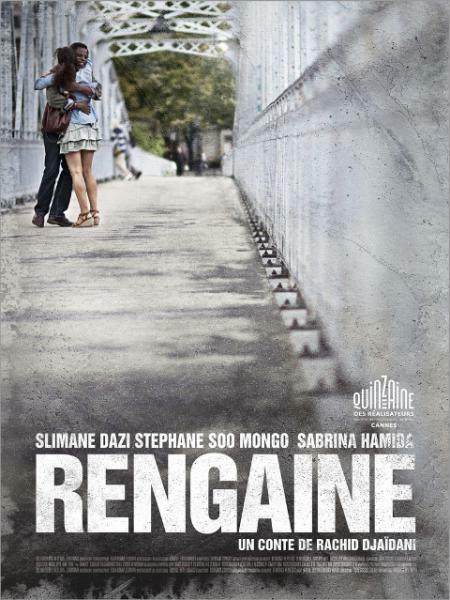 Réalisé caméra au poing et avec les moyens du bord, « Rengaine » est un conte urbain, un film viscéral qui reflète notre réalité sans compromis. Le jury : Nathalie Baye (Présidente), Pilar Lopez de Ayala, Jordan Mintzer, Charles Tesson et Fabrizio Mosca. Paris, today. Dorcy, a young black Christian, wants to marry Sabrina, a young North African. It what would be a simple matter if it weren’t for the fact that Sabrina has 40 brothers and that this easygoing wedding has crystallized a taboo still rooted in the mentalities of the two communities: no marriages between Blacks and Arabs. Slimane, the elder brother, and guardian of traditions, will oppose this union in every way possible.